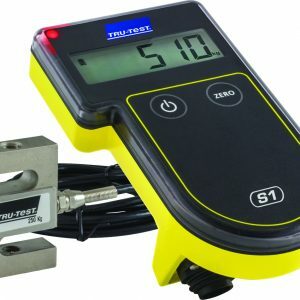 The Tru-Test EziWeigh7i Indicator is an accurate and easy to use mid-level indicator. With the capability to record information against Electronic ID (EID) or Visual tags, you can easily capture and analyse individual animal performance and history. Replacing guesswork with facts, the EziWeigh7i displays live weight gain since the previous session, showing animal performance right there in the yard. Using its built-in Bluetooth® technology, the EziWeigh7i wirelessly connects to Tru-Test’s EID readers, automatically transferring scanned ID’s straight into the weigh scale, saving time and improving accuracy. 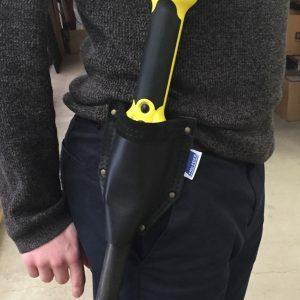 Alternatively, the animal’s VID can be entered using the large and durable keypad. Built in Bluetooth® for wireless connections to EID readers and other devices. Calculates live weight gain from previous sessions. Stores up to 100 sessions and 20,000 records. Comment text field to capture animal traits and treatments. Weighing Indicator is ID capable. Records information against Electronic (EID) and Visual tags. VID numbers can be automatically cross-referenced with their EID match, saving you time and reducing data entry. Wireless or tethered EID reader connectivity. Choose between wireless Class 1 Bluetooth communication with EID readers up to 100 m away, or connect via cable. Live weight gain. Calculates and displays an animal’s daily weight gain since the previous session. Capture traits or treatments. Record notes for each individual animal. Memory and storage capacity. Stores up to 100 weighing sessions and 20,000 records. Statistics. Summary statistics from the current and previous weigh sessions can be recalled right there in the yard. Drafting capability. 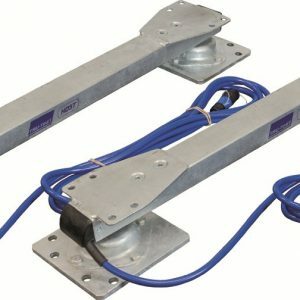 Speeds up weight drafting by displaying direction for up to 3 weight ranges. Highly visible display. Large 35 mm reflective display with a super bright backlight makes it viewable in all conditions, from brightest daylight to darkness. 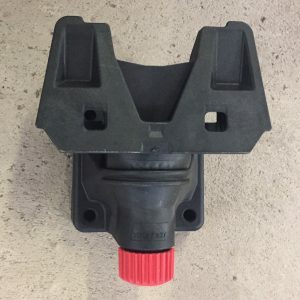 Superdamp™ III technology. 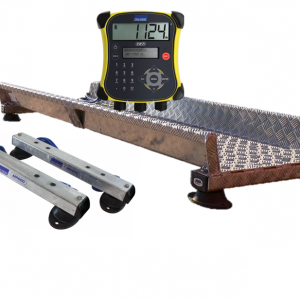 Capture accurate live weights more quickly than any other weigh scale on the market. 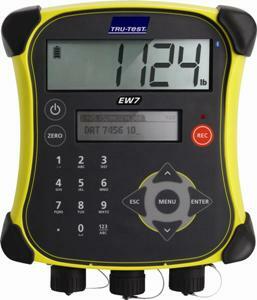 The EziWeigh7i has improved weighing electronics to lock onto lively animals even faster. Durable case. IP67 waterproof case with double walled construction and rubber corner buffers for extra durability. Long life and fast charging battery. Over 15 hours of run time and only 3 hours to recharge. 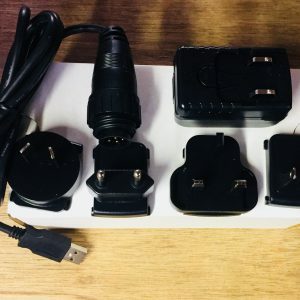 Charge with supplied mains power adaptor or USB.